The leading online retail store selling premium quality sporting goods. Rocsport is located in Los Angeles, CA. Our goal is to find the best quality sporting products for people and we promise all of our products are carefully inspected and passed quality issuance. Rocsport provides useful informations about our products and help you to reach your goal. Rocsport carries all health products, nutritional supplements and sport goods. Rocsport provides services providing diagnostic of your exercise plans and what type of health foods/products or dietary supplements need to be consumed while working out. Exercise and work different part of your body to sweat. We support chiropractors. 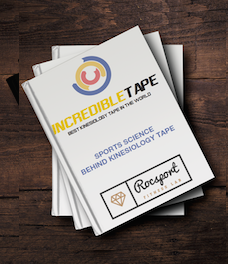 Recover and reduce a chance of getting sport accidents by having kinesiology knowledge such as how to apply kinesiology tape. We will share strength with every workout. All the instructions will be available for free to our Rocsport users. If you have any questions, feel free to ask us anything. When people purchase sport goods, they don't usually buy multiple cheap items but one best product. We would like to be the one that sells one best product to the users. Working out is not easy. We will do our best to push you and reach your goals while working out by sharing work out knowledges from professional trainers.